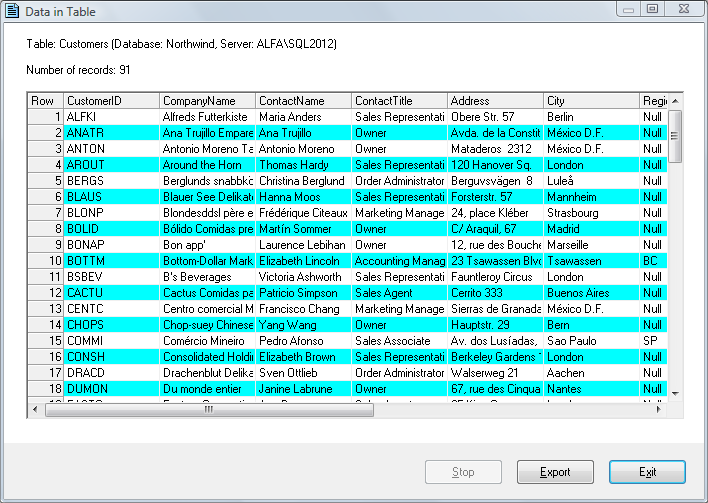 Nothing is worse than bad information in a database! You’ve gone ahead and performed a supposed “update” or “enhancement”, but instead of throwing flowers and candy at you, your entire user base is up in arms. 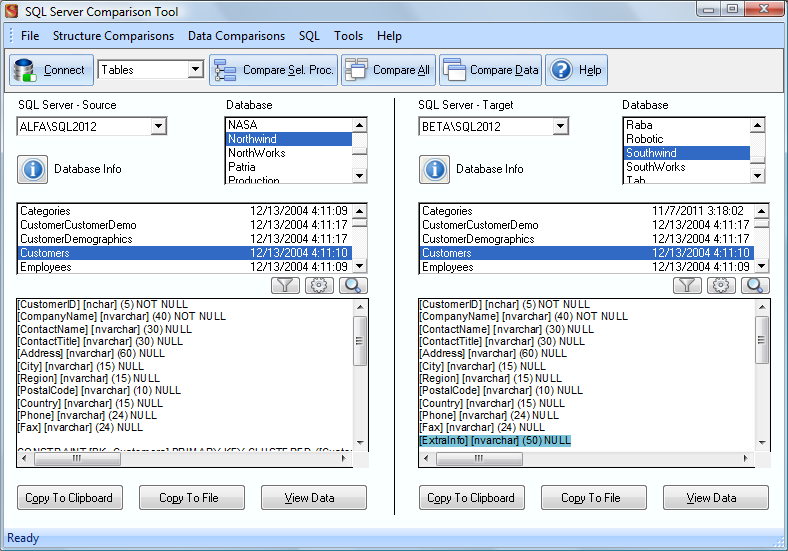 Next time, use today’s discount software promotion to compare your databases to make certain everything is cool – it’s SQL Server Comparison Tool! 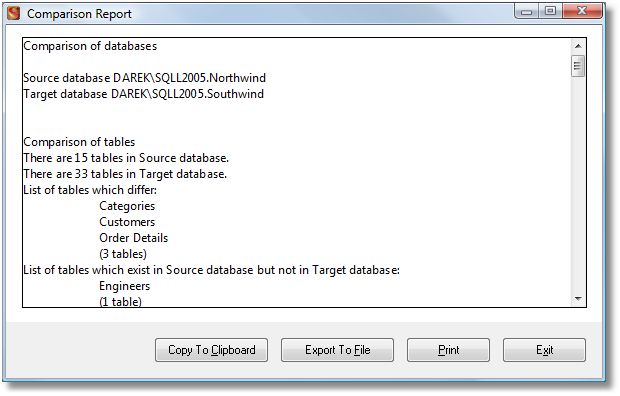 SQL Server Comparison Tool lets you analyze, compare, and document SQL Server databases, finding differences in tables, procedures, functions, and more. With SQL Server Comparison Tool, you’ll be able to quickly identify differences between databases, before you have any angry user in your face asking why something is amiss! It’s the perfect tool for DBAs running updates, or for developers moving changes into production. 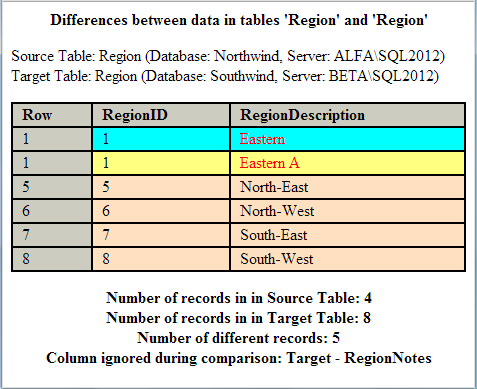 If you’ve tried to find database differences by hand, you know it’s a tedious, soul-sucking task that’s prone to errors. 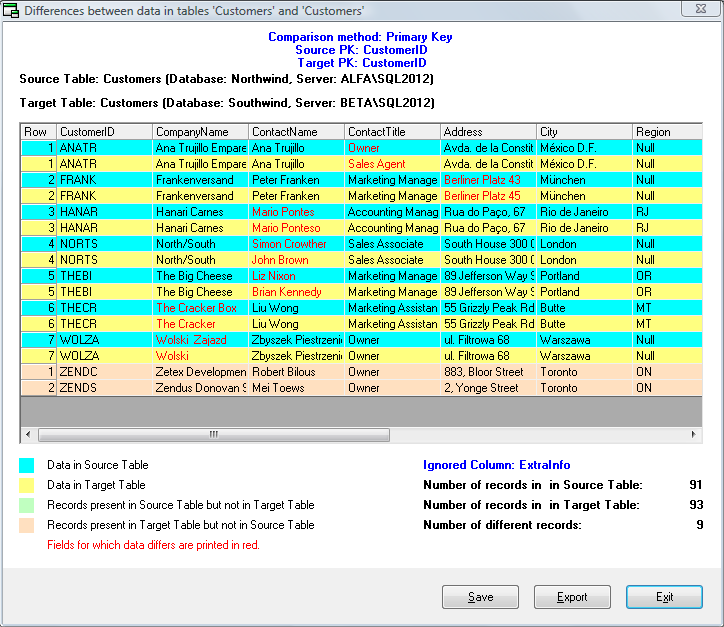 Why risk your job security when you can enjoy flawless, automated comparison of tables, procedures, functions, and entire databases with your copy of SQL Server Comparison Tool? 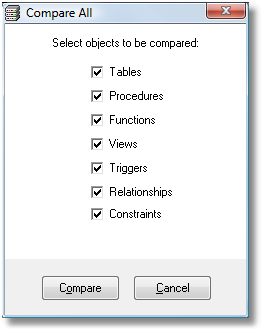 In fact, SQL Server Comparison Tool is so easy to use, you don’t even have to have any knowledge of SQL! And since it’s all done in read-only mode, you never have to worry about accidentally changing any data. 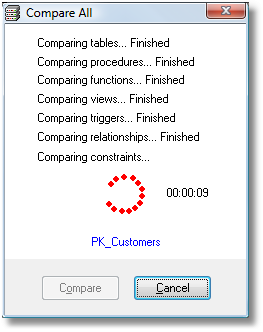 After you purchase SQL Server Comparison Tool it may be used indefinitely. SQL Server Comparison Tool is licensed per user, so if more people are going to use SQL Server Comparison Tool you will need to purchase additional copies. 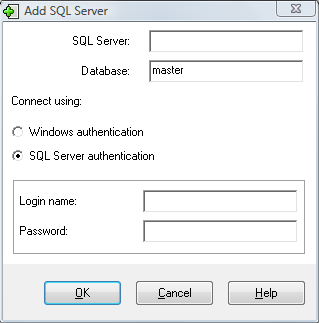 Each license allows installation on 20 computers, and SQL Server Comparison Tool may be used at exactly the same time on each of them. “Thanks for the quick response.I love your product.”- Andrew Ladanowski, AddInSolutions Inc.
Brian Smith Is there a way to sync the data or structures? 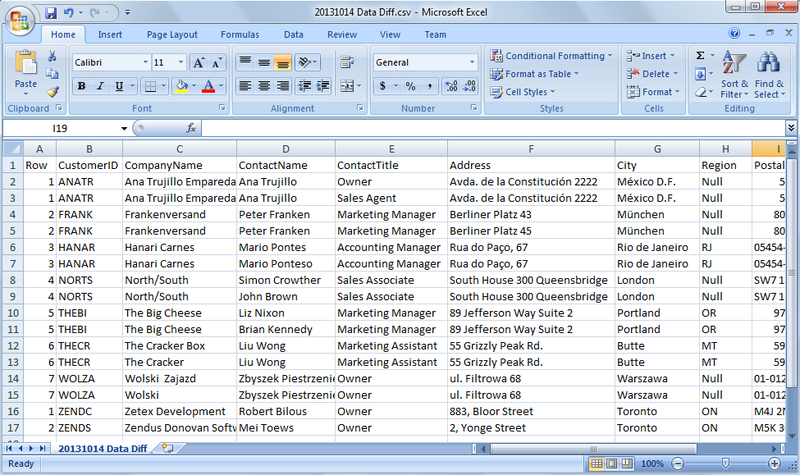 I see there is an export to Excel, is there an import from Excel? Dariusz Dziewialtowski-Gintowt Brian, this version doesn't have a way to sync the data or structures. 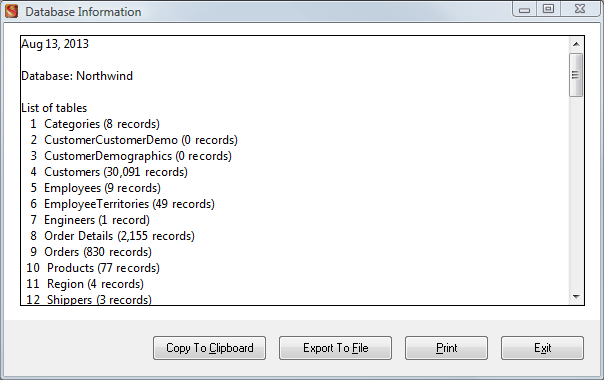 Now I work on implementing syncing the structures; this feature should be ready in September. 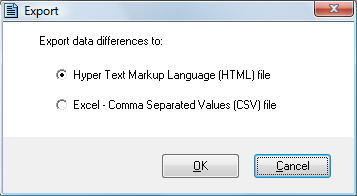 As about an import from Excel, this is the first time someone requested this feature - I'll put it on my "To Do" list, but for now it is not a high priority item.